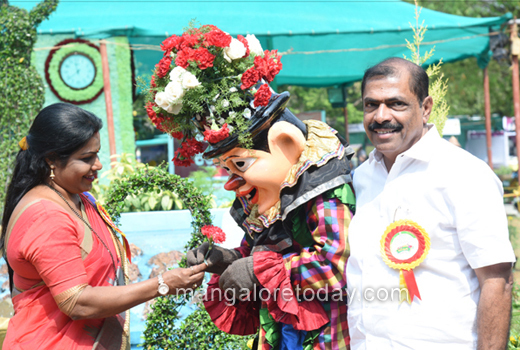 Mangaluru, Jan 27, 2018: It was colour and emotions all around at the Kadri Park with eyes wide and the selfie craze bursting it’s boundries. 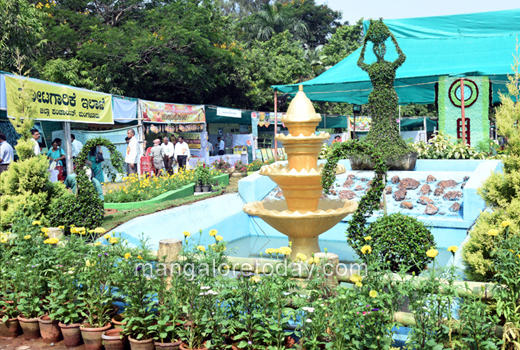 The horticultural and floricultural show became public here on January 26 Friday - Republic Day. 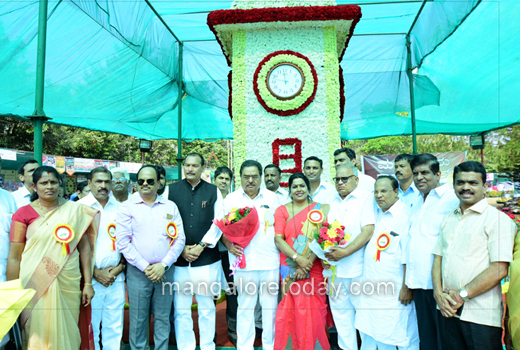 It is the replica of the Clock Tower that stood at Hampankatta in the city 24 years ago. The 45-ft high clock tower built in 1968 was demolished in 1994 for road widening works. 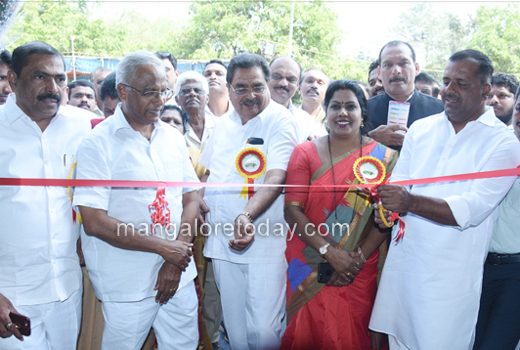 Now, the Mangaluru City Corporation has proposed to re-build it in the same place where it existed under the Smart City Mission. 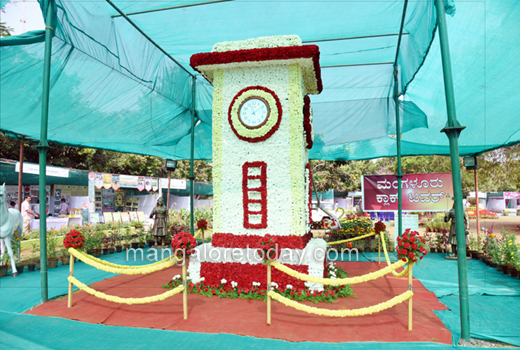 People can see the flower Clock Tower at the park till Jan 29, Monday evening. It is 14 ft high and five ft wide. 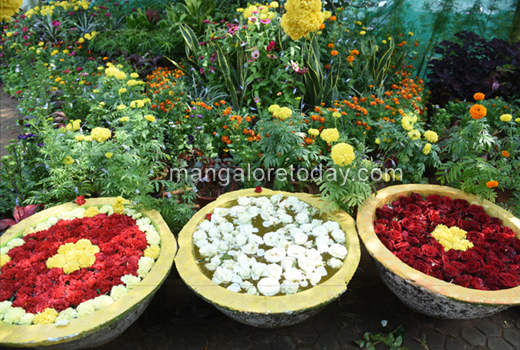 More than 150 kg of rose, carnation flowers have been used to make the replica, a Horticulture Department official said. Visitors can get information on bee keeping, bee boxes and also purchase honey at the show. 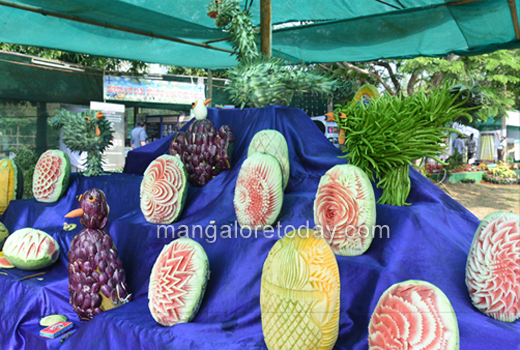 Kuntala, rubber, mango and licthi honey varieties have been displayed along with honey sugar. 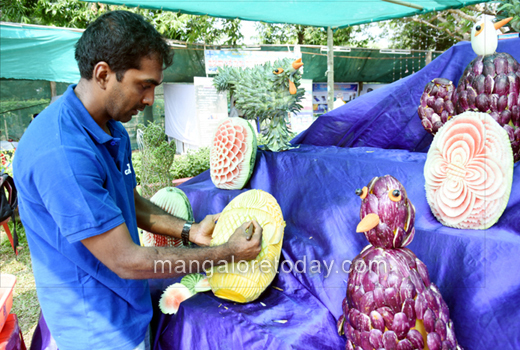 Vegetable carving, different varieties of vegetables, leaf vegetables that have grown to demonstrate vegetable cultivation attract visitors. 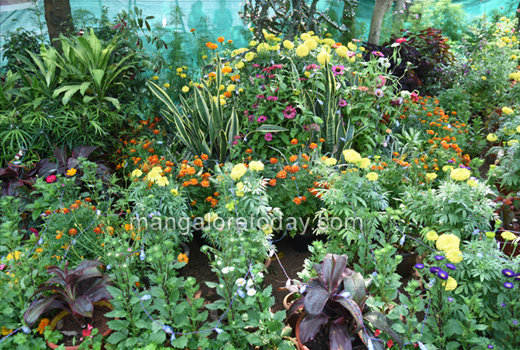 There is a flower arrangement using flowers such as salvia mix, petunia, marigold, geraniums, red salvia, baby zinnia and salvia. 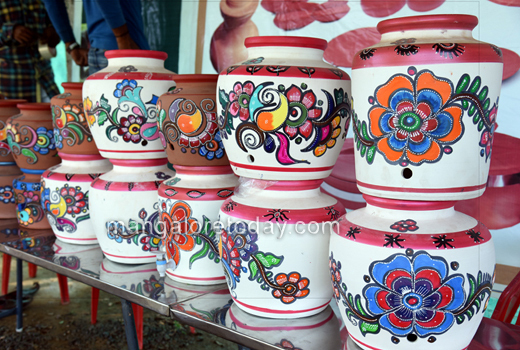 The show has stalls of consumer goods, material made from clay, ornamental fish and the like. 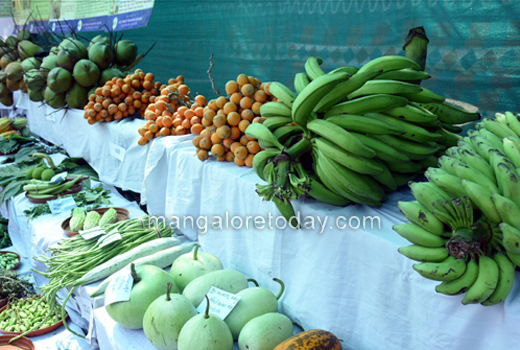 The government department stalls are showcasing a variety of cashew, coconut and arecanut. 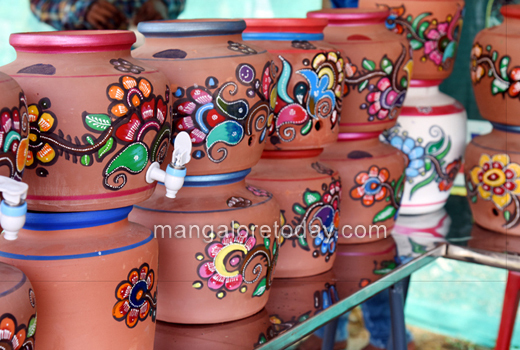 A stall by the zilla panchayat showcases integrated waste management. The show would remain open from 9 a.m. to 9 p.m. till Jan 29, Monday. 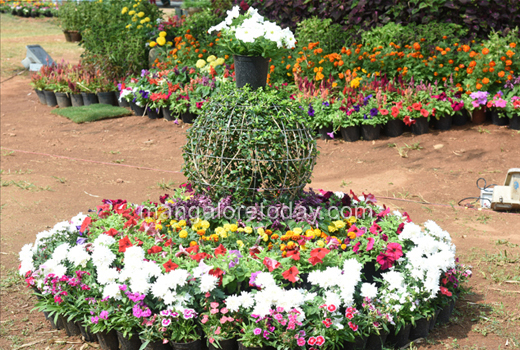 There would be free entry for school students in uniforms, persons with physical disabilities and special children. Adults would have to pay Rs. 20 as entry fee and children would be charged Rs. 10. 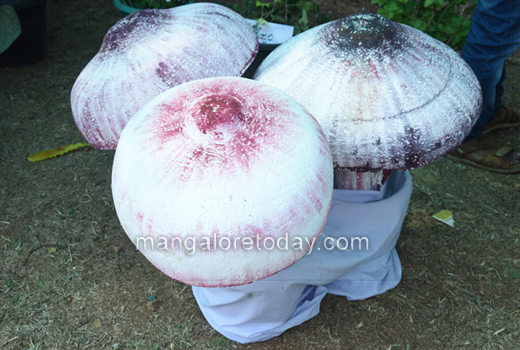 Food festival and cultural programmes have been organised as part of the show. 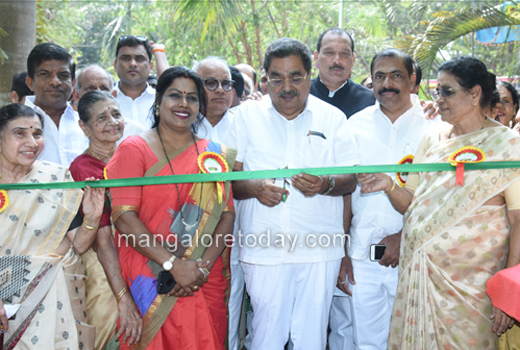 B. Ramanath Rai, Minister in-charge of Dakshina Kannada, inaugurated the show. There was much interest and visitors arrived by the hundred on the opening day.